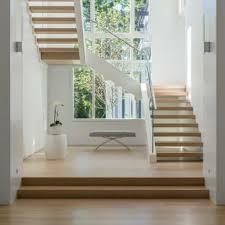 Staircases are essential part of our homes that we often overlooked. 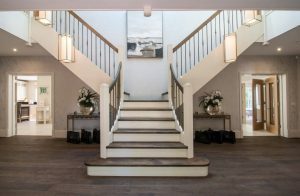 The staircase can add to the aesthetic appeal of a building and can actually be the most interesting part of a building interior if properly done and made to look so. For the straight ones below. 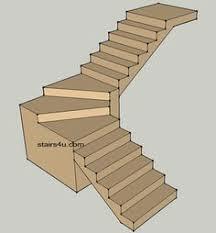 This type takes a flight then lnd at the center of stairs then turn and returns in the opposite direction. This is good for maximising space, but can be an hedache if carrying large furniture through them because of the switch or turning. 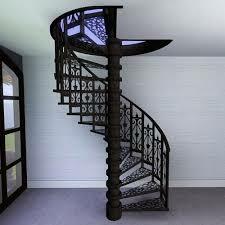 2-Spiral staircase-this is a pillar /pole/column that the threads and risers (steps)are hinged on. The column is at the center then the steps winds round around it as the many structural member of the staircase. They are very good for right spaces. 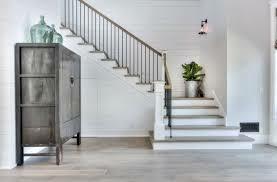 However is not easy to navigate and carry furniture. 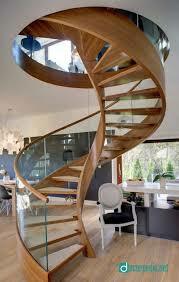 3- Circular stair is a spirl stair without the central pole. 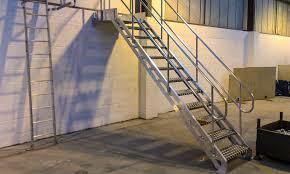 4- ladder stair-This is difficult to use and is always recommended for minimal usage. The steps are high and the flights are very steep. 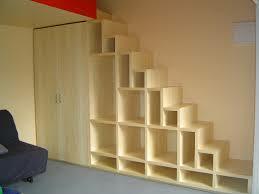 Good for smaller residences and very efficient for minimising space. 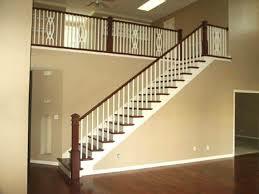 5-Split stairrcase-This usually looks elegant and most found in entryway of grand and spacious home. 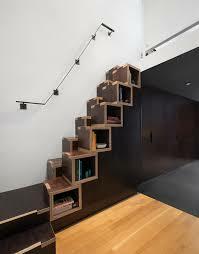 6-Space saving staircase -Is a staircase derived from modern desigs to help in reducing spaces required for staircase. 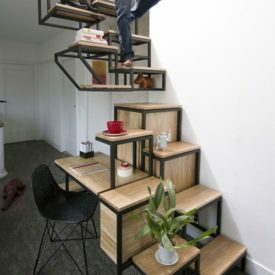 These stairs can be steep,narrow and very minimal materials are used. 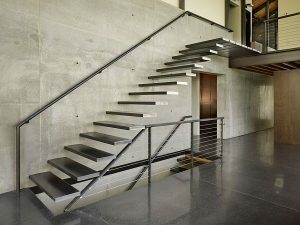 7-Floating staircase-Is aa staircase that consists of threads with no risers, instead the threads are attached to the wall which makes the support not visible. 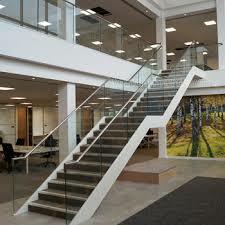 You can see through the risers space as open space as shown below.